Aperture Duo curates fearless programs that explore new sounds, voices, and techniques through the lens of violin and viola chamber music. 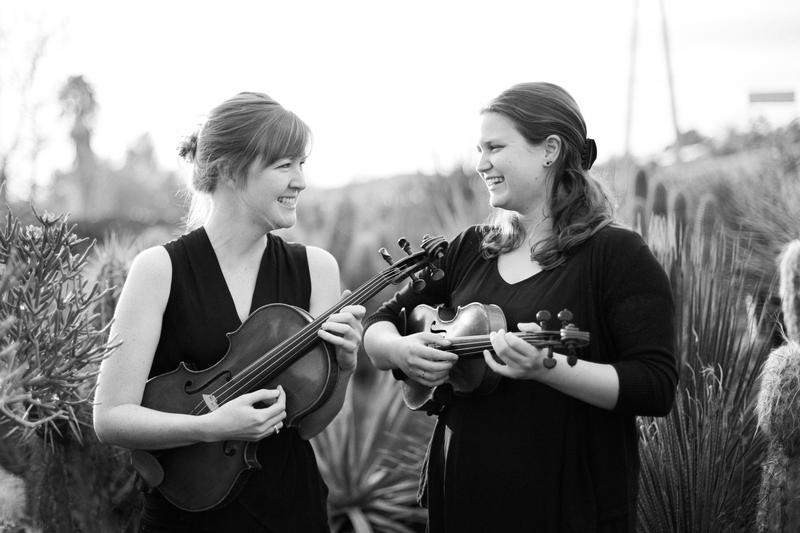 Founded in 2015 by violinist Adrianne Pope and violist Linnea Powell, Aperture Duo has quickly become a mainstay of the Los Angeles new music scene. Equally at home interpreting old and new music, Aperture Duo has commissioned over thirteen new works as part of a repertoire that spans W.A. Mozart to Salvatore Sciarrino. Aperture Duo’s performance credits include Tuesdays @ Monk Space, the main stage at the Carlsbad Music Festival, Music at Boston Court, L.A. Signal Lab, Synchromy, LA Downtown Art Walk, Brooklyn’s Home Audio Concert Series, UC Santa Barbara Summer Music Festival, Clockshop’s Hear Sunday, Craft in America Center’s Window Concert Series, and the Eureka! Musical Minds of California Graduate Student Conference. Aperture Duo has designed educational outreach concerts with wild Up and the Los Angeles Chamber Orchestra and has been in residence at Avaloch Farm Music Institute and the California Institute of the Arts. This spring, Aperture Duo will be in residence at the Black House SoCal New Music Workshop and perform on the Hear Now Music Festival’s 2018 season.